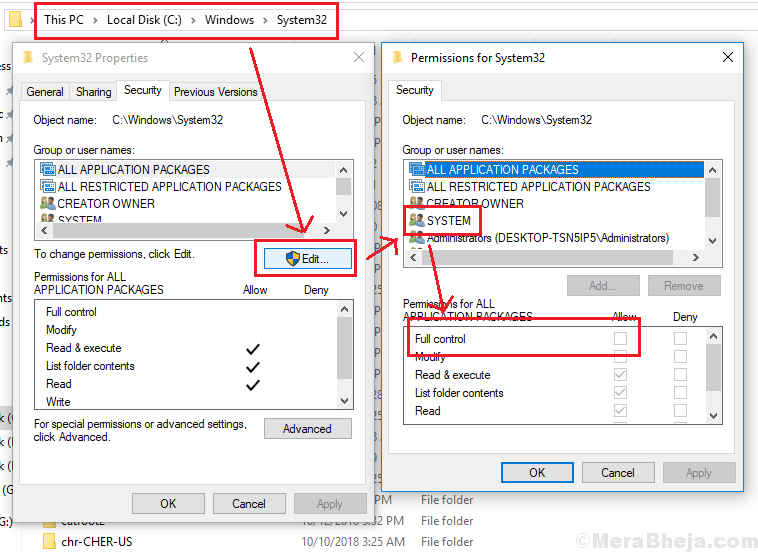 Unable to write PROCMON23.SYS, Make sure that you have permission to write to the %%SystemRoot%%\System32\Drivers directory. The procedure is a little complicated but the issue has one and only one fix. 1] Open the File Explorer and navigate to C:\Windows\System32\drivers. 2] Right-click and select Properties and go to the security tab. 3] Select the User, click on Edit, and give the necessary permissions (Full Control would be better). 4] Now, boot your system into WinPE environment as explained here. 5] Delete the %%SystemRoot%%\System32\Drivers\PROCMON23.sys file in the WinPE environment. 6] Search for Command Prompt in the Windows search bar and right-click on the option. Select Run as administrator. 8] Restart the system and you would be able to Enable bootlogging now.